The people of a nation owe their freedom to soldiers who fought in previous wars for their country. In addition, they owe their freedom to the soldiers who have fallen in the course of said wars. It is important that people do not forget the fallen soldiers who sacrificed their life for their country. It is for this reason that holding a memorial in honour of them is of high importance. 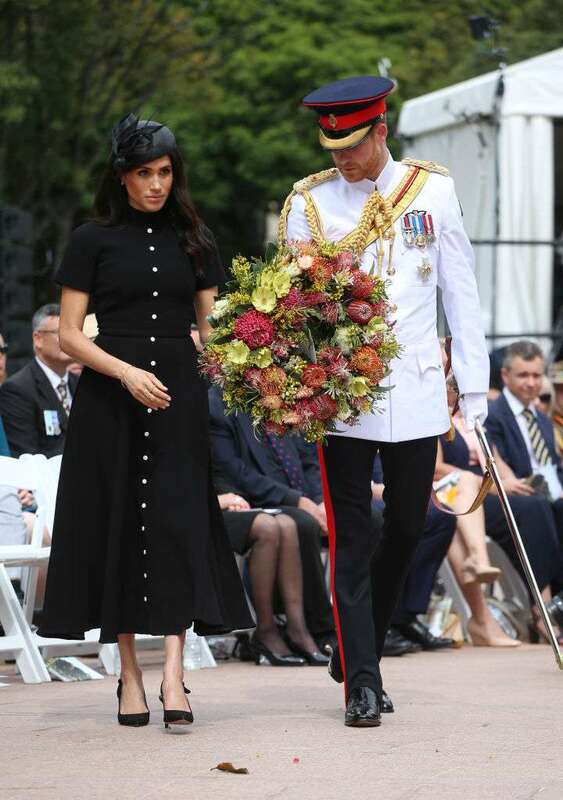 The Duke and Duchess of Sussex were in attendance at the official opening of the ANZAC, memorial which took place in Hyde Park. The memorial was held in honour of the brave soldiers who put their lives on the line for the freedom of their country. ANZAC Day is a memorial held in honour of the first major battle involving Australia and New Zealand in World War I. 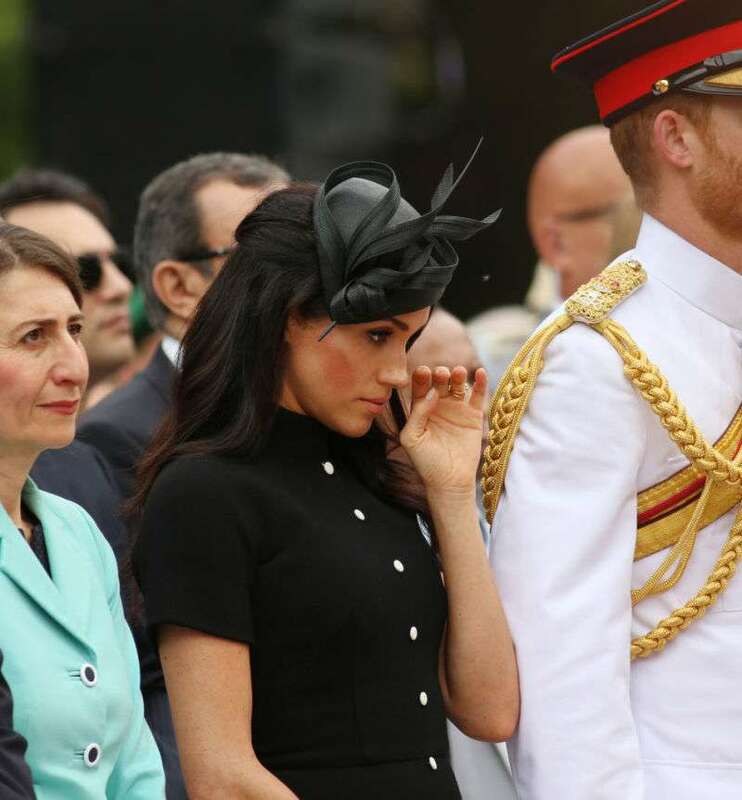 The royal couple was accompanied by Daniel Hurley, the Governor of South Wales, as they commenced the fifth day of their tour. The event was also attended by Australian Prime minister, Scott Morrison, and the Premier of New South Wales, Gladys Berijiklian. 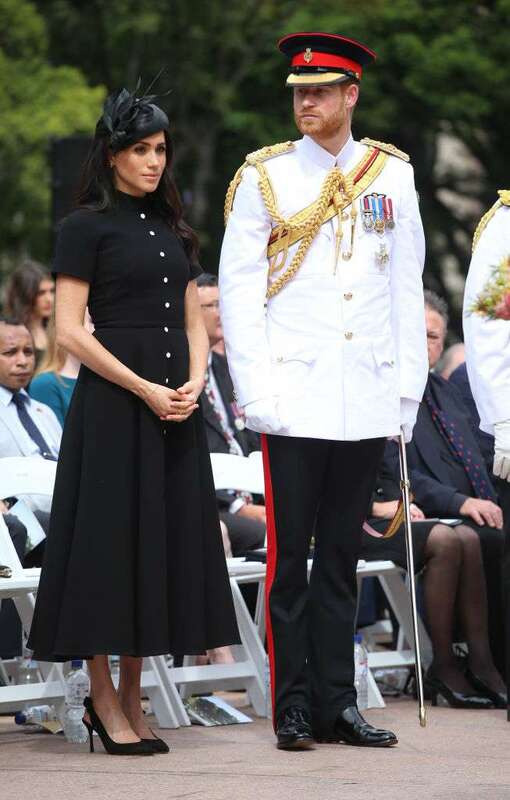 Meghan Markle, who is rapidly becoming a fashion icon with her several royal styles on the Australia tour, appeared at the event wearing a black Camila button wool crepe dress designed by New Zealander, Emilia Wickstead, pairing it with black heels and a black Phillip Treacy poppy, which she wore in remembrance of those who died in the war. Her husband, who in the spirit of comradeship with his fellow officers, wore his military uniform. The solemn event opened with a speech and musical processions before the royal couple arrived and took a sit in the front row. The Duke and Duchess took a wreath to the memorial stairs and hung it, the Prince then stood in salute for the fallen veterans. 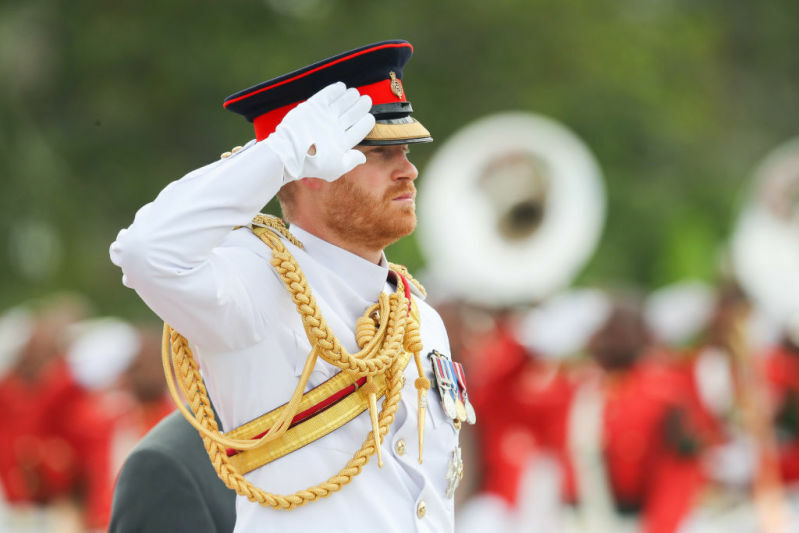 This was an emotional moment for Prince Harry, as he himself has served his country for a decade in the British army. 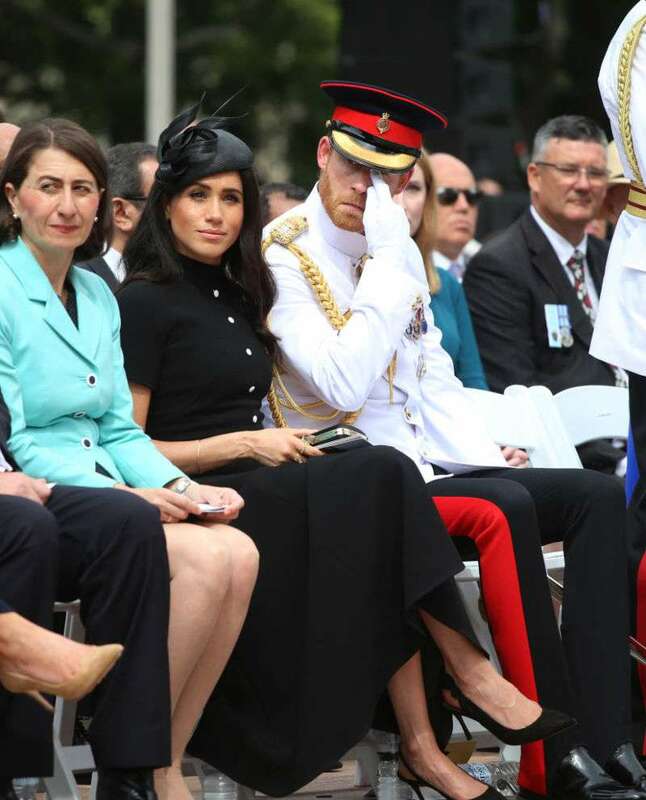 The ceremony became even more emotional for the royal couple when the choir at the ANZAC memorial sang “I vow thee my country”, which happens to be Harry's late mother, Princess Diana, favourite songs. It was played both at her wedding, in 1981, and at her funeral, in 1997. While singing the song, both Harry and his wife could not keep the tears away. The duo was seen wiping their tears away. Prince Harry, who was very close to his late mother, looked especially touched by the hymn performance. Princess Diana will forever remain golden in our hearts, which go out to the families of those who have fallen in war and .